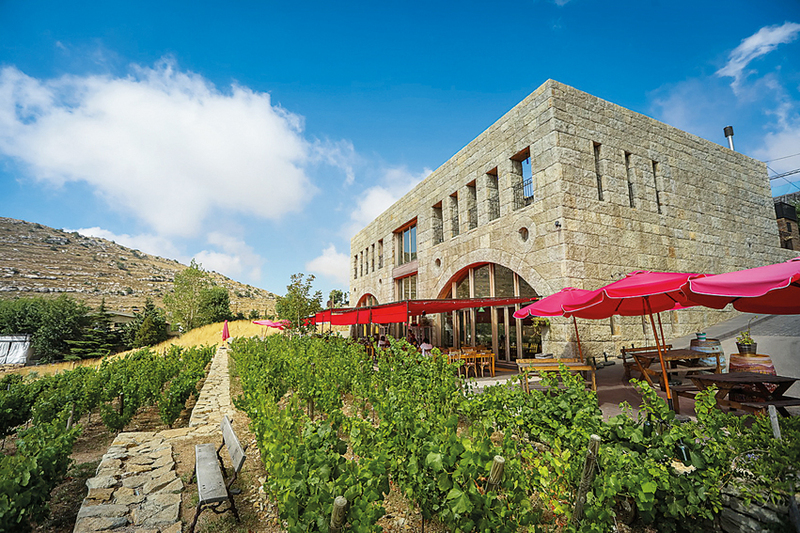 Chateau Musar grapes are grown in the Bekaa valley, while the winery is in Ghazir. © Chateau Musar. Which variety of vine is the most convenient for the Lebanese Climate? You may have several varieties of vines which can be suited to the Lebanese Terroir, climate and soil. The more traditional red varieties have been planted for more than 100 years ago and come from Southern France. These varieties are Cinsault and Carignan. Other varieties which give good results are Syrah, Grenache and Cabernet-sauvignon. Other convenient varieties can come from areas that have the same climatic conditions as Lebanon and can give good results in our country, like Italian, Spanish or Mediterranean varieties. Last but not least, the varieties which are also suited to the Lebanese climate are the local varieties like Obeidy and Merwah for white grapes. These varieties have been around for several thousand years and have become genetically suited to our climate. Other local varieties do exist and still need to be discovered and developed. Do you participate in any wine exhibitions abroad? What are the benefits? We participate in several wine exhibitions abroad every year. The benefits are the encounters with professionals that taste your wines, distributors that sell our wines, writers that talk about our products… The results are not immediate. We need to be very persistent and invest in a presence for several years, before being rewarded and see the results in our sales. This presence is also an image for our wines and for the company, and allow us to ensure continuity and confidence in our brand. 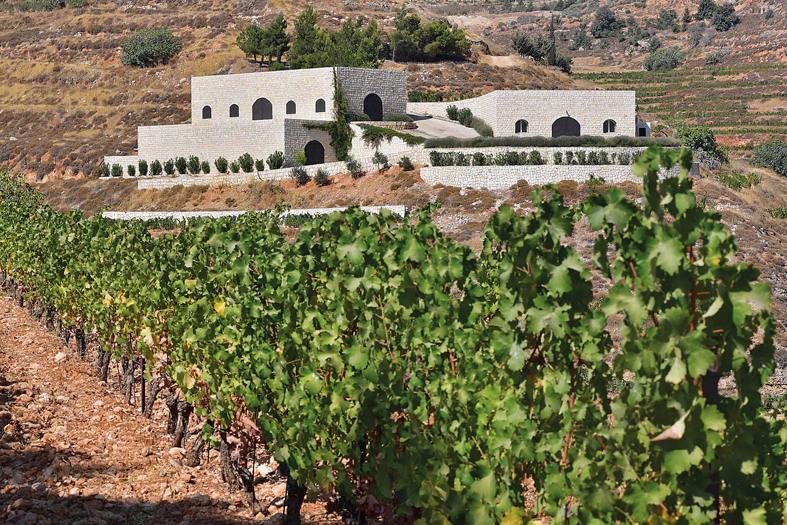 Chateau Heritage grapes are cultivated in the Bekaa at Qob Elias. 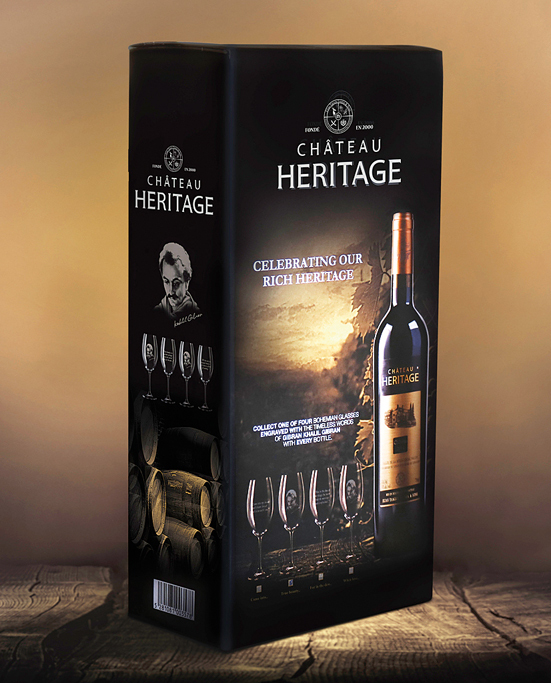 © Chateau Heritage. Which variety of vine is the most convenient for the Lebanese Climate? Red varieties and namely the best two are Cabernet Sauvignon and Syrah. They are the most convenient for the Lebanese Climate. Do you participate in any wine exhibitions abroad? What are the benefits? Of course, we do, we participate in all major international wine exhibitions. 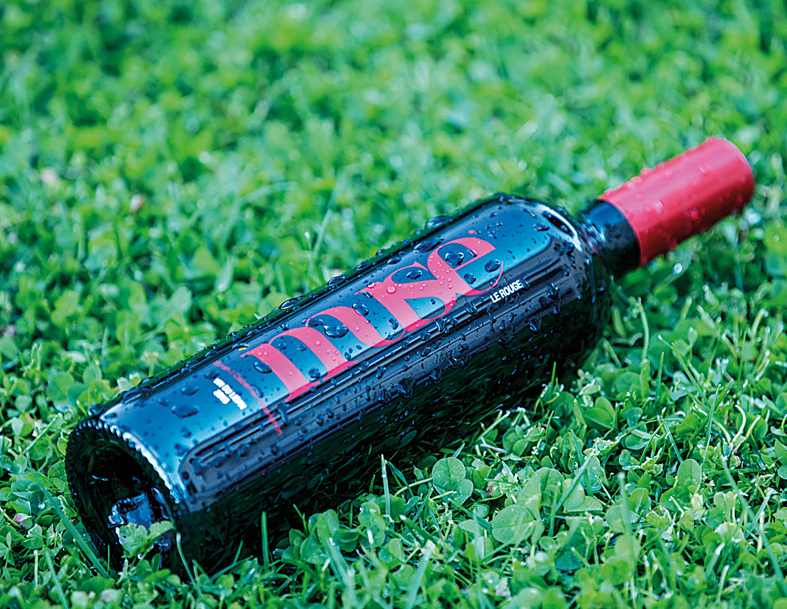 The benefits are to get exposure for our wines in international markets. Massaya vines are grown in several areas of the Bekaa. © Massaya. Which variety of vine is the most convenient for the Lebanese Climate? Mediterranean varietals and local ones such as Cinsault / Grenache.. (red) Obeidy / Clairette… (white). Do you participate in any wine exhibitions abroad? What are the benefits? Massaya exports 80% of its production to overseas markets, that includes exhibition and multiple activities. 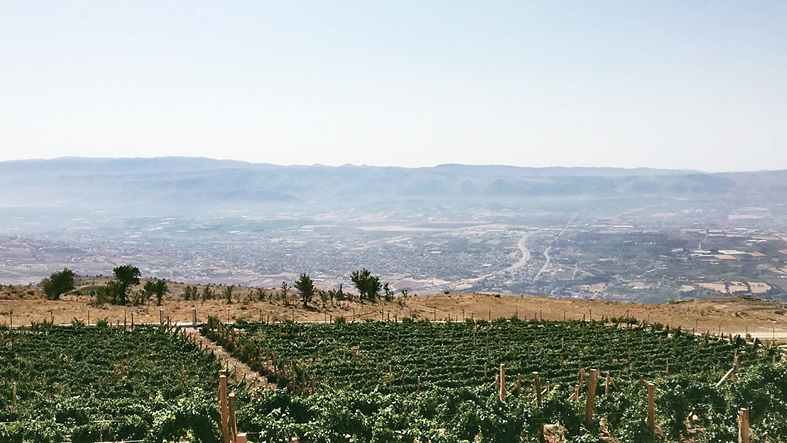 Chateau Ka vineyards are located at the Eastern end of the Bekaa valley. © Chateau Ka. Which variety of vine is the most convenient for the Lebanese Climate? The most convenient grape varietal is Syrah. Do you participate in any wine exhibitions abroad? What are the benefits? Yes, Chateau Ka participates in international exhibitions. These are an opportunity to open the brand to big export markets and help people know better about Lebanese wines: terroir, climate, varietals etc… benefits: increase in export sales and enlarge our production due to bigger demands. Our vines are grown in several areas of Lebanon. © Vertical 33. Which variety of vine is the most convenient for the Lebanese Climate? Great question. We actually work on the idea of a diversity of Lebanese climates to grow selected single grapes at each terroir. All our wines are monocepage: •In Kefraya village: One Carignan and two different Cinsault (Cinsault brutal – Cinsault du Soir) – each coming from a single vineyard. The altitude varies from 925-1050m. •In Remtanieh: we planted pinot noir at 1400-1600 m altitude, the first vintage will be 2018. •In Zahle: we do Cabernet at 1400m and Obeidy at 1100m. This is different than the typical Lebanese wines where grapes and site types are mixed. We opened a tasting room for our operation in Gemayzeh to best appreciate the nuances between wines. Do you participate in any wine exhibitions abroad? What are the benefits? Yes, we were recently in Switzerland and soon we will go to London. The main benefit is to meet professionals from the wine industry and journalists. Muse wine is grown in Aynata, in Southern Lebanon. © Muse. Which variety of vine is the most convenient for the Lebanese Climate? 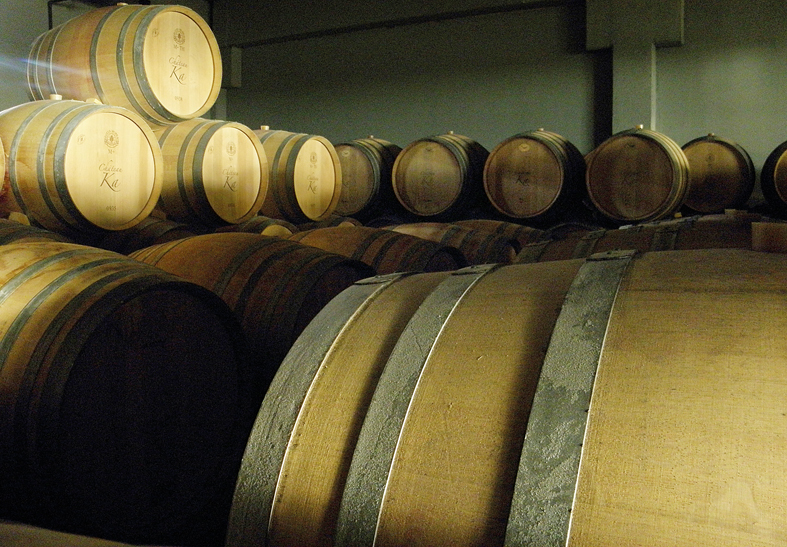 Lebanon is endowed with big assets for viticulture. It is characterized by the diversity of climates and soils, which permits a wide range of varieties to be grown at different altitudes. As we are in continuous development in this sector, it is very early to state which variety is the most suitable for Lebanese terroirs, as every terroir has its own characteristics. Do you participate in any wine exhibitions abroad? What are the benefits? We do participate in wine exhibitions abroad. These kinds of fairs give us the opportunity to reach the Lebanese diaspora as well as to expand in foreign markets and reach new customers, of different backgrounds and cultures. 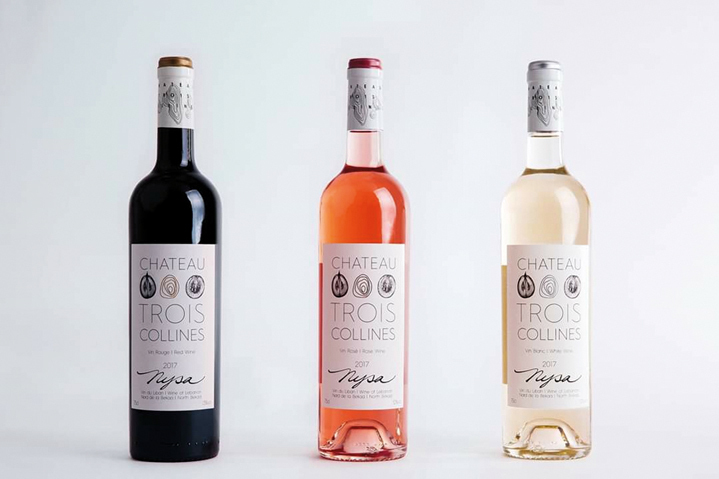 Chateau 3 Collines is based in Baalbek Lebanon. © Chateau 3 Collines. Which variety of vine is the most convenient for the Lebanese Climate? The most convenient vine varieties that are suitable to the Lebanese climate are Merlot, Syrah and Tempranillo, as they have high resistance against fungal and viral diseases, as well their blooming occurring in the safe period which prevents them from getting exposed to the spring freezing attack. In addition, those varieties are considered to be from the high yield vines, in comparison with other vine varieties. Do you participate in any wine exhibitions abroad? What are the benefits? As we are a newly established winery, we are currently focusing on participating in the local wine fairs, and introducing our products to the Lebanese market, knowing that we believe that participating in wine fairs abroad is very important for the Lebanese wine industry in general, and will give our products in particular additional exposure. Domaine de Baal wine is grown in Dhour Zahle. © Domaine de Baal. Which variety of vine is the most convenient for the Lebanese Climate? There are many different varieties of grapes that like the Lebanese climate such as to name few: Syrah, Cabernet Franc, Cabernet Sauvignon, Cinsault, Carignan for the red varieties and the Sauvignon, Chardonnay, Vermentino, for the white varieties. Of course, there are also our local grapes, Obeidy and Merwah. Do you participate in any wine exhibitions abroad? What are the benefits? Yes, of course, we do participate in different wine exhibitions. It is important to meet new consumers, to see our existing clients, to put the Lebanese wines on the world wine map. A lot of people don’t know that we are producing wines here, even if it is one of the oldest wine production in the region. So we usually do these exhibitions with other colleagues in order to have more impact. And of course, it helps us find importers and distributors for new export markets. Kefraya wine is grown in Kefraya in the Bekaa. © Chateau Kefraya. Do you participate in any wine exhibitions abroad? What are the benefits? Yes, of course, Chateau Kefraya being present in above 40 countries abroad participates in many exhibitions! (Vinexpo Bordeaux / Prowein Dusseldorf and many more). The benefit is huge because it is the occasion to meet with the «end-consumer» in each country, understand his culture better, taste the wines with him and explain about Chateau Kefraya’s specificity. For example, lots of consumers do not know that we are among the rare wineries in Lebanon to only use Our Own Grapes for quality’s sake, refusing to buy grapes, even when production is low due to the micro-climate’s variations. Exhibitions are the perfect occasion to explain our winemaking philosophy, which makes a great difference in the quality of the wines. 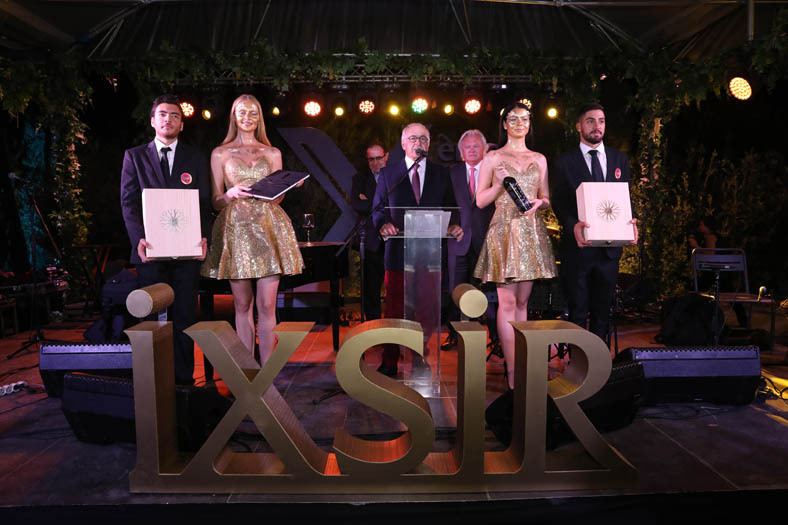 Ixsir wine is grown in Northern Lebanon. © Ixsir. Which variety of vine is the most convenient for the Lebanese Climate? In Lebanon, we have the chance of having a multitude of micro-climates who give us the possibility to grow up several varieties depending on the region. The most well-known are the Syrah, Mourvedre or Viognier, but we use more than 10 different varieties. Do you participate in any wine exhibitions abroad? What are the benefits? Yes, every month we participate in a wine exhibition abroad. The most important one is Prowein at Dusseldorf who permits us to meet our most important distributors. And many people abroad still don’t know that Lebanon produces wine, exhibitions give us the opportunity to introduce our Lebanese wine. Latourba Wine is grown in West Bekaa. © Latourba. Which variety of vine is the most convenient for the Lebanese Climate? Lebanon, and particularly the Bekaa valley, is characterized by a warm, sunny and dry climate and unique topography and soil composition. At first glance among red grape varieties, Syrah stands out as an obvious match for this climate, successfully producing thick, deep coloured grapes with a predominance of dark forest fruit aromas and velvety tannins. Digging deeper, in our privately-owned vineyards we had the chance to experiment with more than a dozen international grape varieties and our experience revealed that Merlot and Petit Verdot thrive in the Bekaa soil. Among white grape varieties, Chardonnay has a great potential for both fresh aromatic, finer wines as well as for heavier, full-bodied and oak-aged ones. We thus picked it as the main grape variety for «Latourba Unique», the first Lebanese sparkling wine, traditional method, that we launched this October. At «Latourba», we also experiment with less known varieties from Eastern Mediterranean countries with climatic conditions similar to Lebanon, such as Fiano and Assyrtiko and the results are promising, offering exciting alternatives for wine lovers in Lebanon and abroad. Do you participate in any wine exhibitions abroad? What are the benefits? We have already participated in international wine events, in California and the UK, with wine-tasting encounters to introduce our older and new vintages, that were appreciated by both wine experts and enthusiasts. These events are an occasion to present our winery and get closer to our customers as well as gain new ones. At «Latourba» we believe in expanding to new markets as an opportunity to broaden our horizons and achieve success by seeking different consumers in various quality-driven markets. Our vital aim is to generate more attention to the high-quality wines that Lebanon produces, as well as to our terroir in particular, as «Latourba» takes pride in its own specificities and has started to gain ground on the Lebanese market and abroad. If Lebanon continues to strive for high-quality wines and to build its reputation as a wine destination, everyone will benefit. Domaine des Tourelles is a winery in Chtaura, in the Bekaa. © Domaine des Tourelles. Which variety of vine is the most convenient for the Lebanese Climate? Syrah loves our terroir! In altitude, it can show complexity, great colour and balanced wines. Do you participate in any wine exhibitions abroad? What are the benefits? Of course many… Prowein is one of them. The advantage is to have our wines visible to the international market… most of the buyers will not visit Lebanon due to security reasons, so we go and meet them!